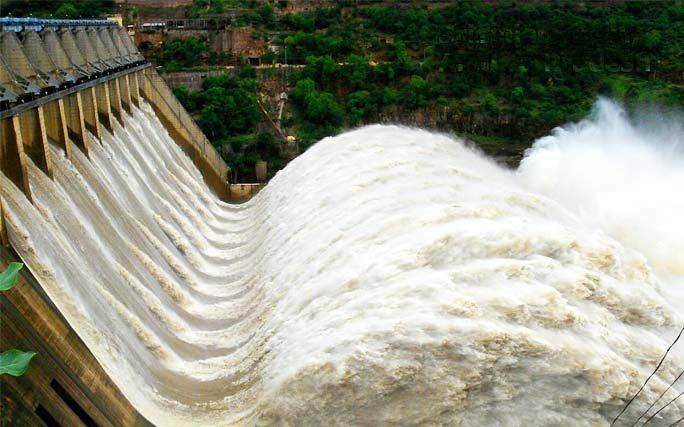 10 Largest Power Generating Hydroelectric Dams in India – Best of India! India ranks third in the world after China and the USA in terms of the number of dams. The country has about 4710 completed large dams. With the ever increasing population and the consequent increased demand for water for various uses, it has become necessary not only to construct new dams but also rehabilitate and maintain existing ones. 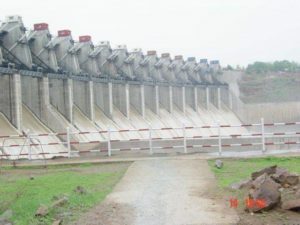 The dams provide storages to tide over the temporal and spatial variation in rainfall for meeting the year-round requirements of drinking water supply, irrigation, hydropower, and industries in the country which lead to the development of the national economy. Biggest Dams in India have helped immensely in attaining self-sufficiency in food grain production besides flood control and drought mitigation. At a time when the hydropower sector has taken a beating in India, power major NTPC is planning to set up the country’s biggest hydel project in Arunachal Pradesh. 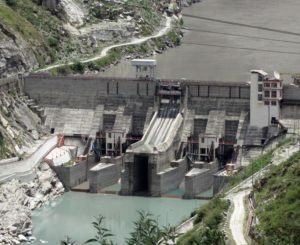 The hydropower project at Siang will alone generate between 10,000 to 12,000 MW when completed, making it the largest hydroelectric dam in South Asia. And 27,000 MW when collaborated with other power companies. 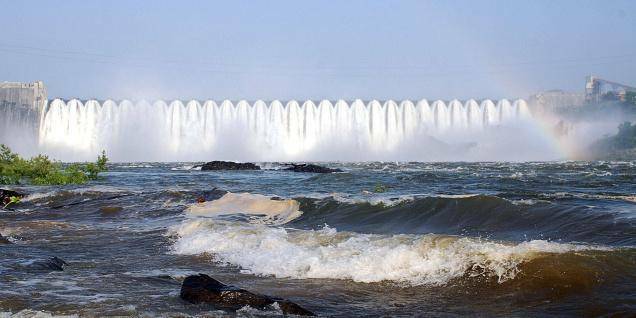 Below are the 10 Largest Hydroelectric Dams in India in terms of Power Generation. 2.) The Koyna Hydroelectric Dam – is the second largest hydroelectric power plant of India. The total Installed capacity of the project is 1,960 MW. The project consists of 4 stages of power generation. All the generators are located in the underground Powerhouses excavated deep inside the surrounding mountains of the Western Ghats. A dam foot powerhouse also contributes to the electricity generation. 3.) The Srisailam Dam – is a dam constructed across the Krishna River at Srisailam in the Kurnool district in the state of Andhra Pradesh in India and is the 3rd largest capacity hydroelectric project in the country with 1,670 MW generation of electricity. 4.) 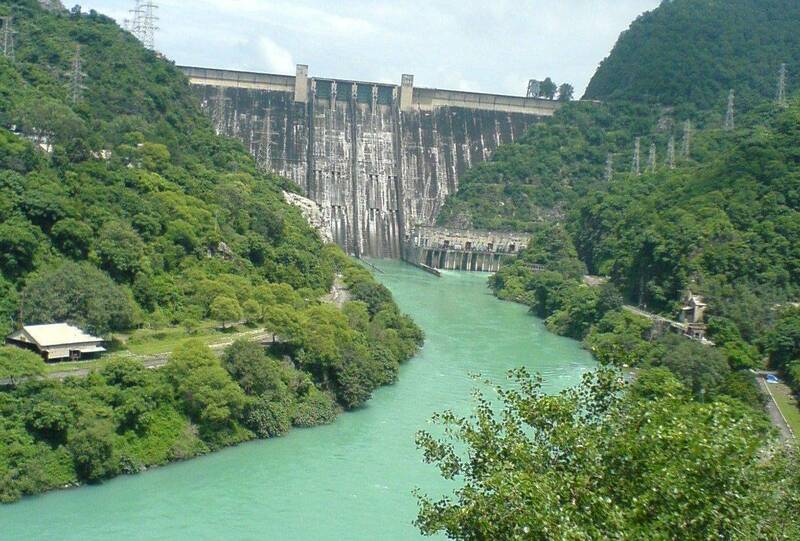 The Nathpa Jhakri Dam – is a concrete gravity dam on the Satluj River in Himachal Pradesh, India. The primary purpose of the dam is hydroelectric power production and it supplies a 1,500 MW underground power station with water. 5.) The Sardar Sarovar Dam – is a gravity dam on the Narmada River near Navagam, Gujarat in India. 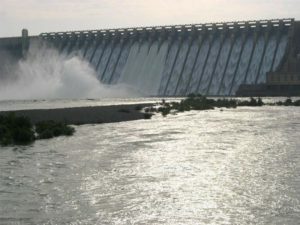 It is the largest dam and part of the Narmada Valley Project, a large hydraulic engineering project involving the construction of a series of large irrigation and hydroelectric multi-purpose dams on the Narmada River. 6.) 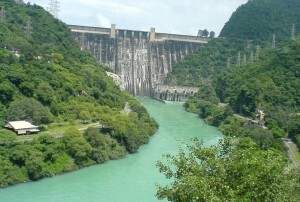 The Bhakra-Nangal Dam – is a concrete gravity dam across the Sutlej River, and is in Bilaspur, Himachal Pradesh in India. Its reservoir, known as the “Gobind Sagar”, stores up to 9.34 billion cubic metres of water, making it the second largest reservoir in India, enough to drain the whole of Chandigarh, parts of Haryana, Punjab and Delhi. 7.) 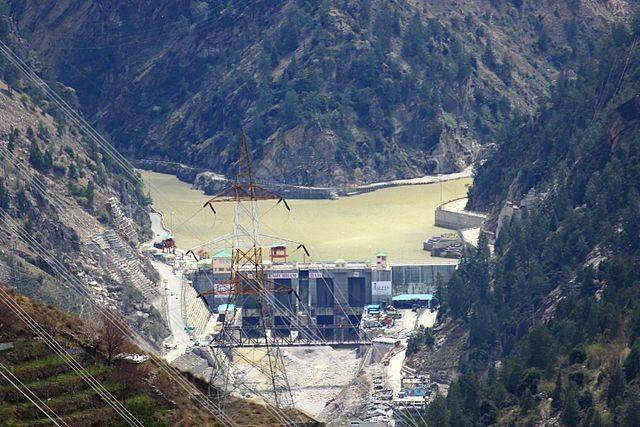 The Karcham Wangtoo Dam – is a 1,000 megawatts power station on the Sutlej River in Himachal Pradesh at Kinnaur district of India. 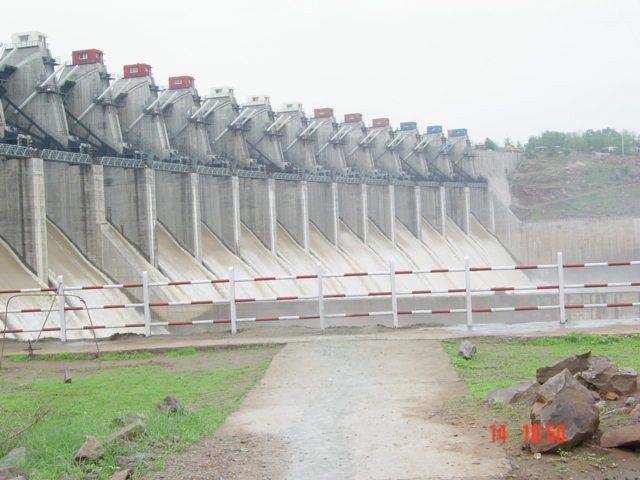 The dam is located between the villages of Karcham and Wangtoo and get its name from their. it was constructed by Jaypee Group who later sold it out to JSW Group. The main spillway is along the crest of the dam and is controlled by six radial gates. 8.) The Indirasagar Dam – is a multipurpose project of Madhya Pradesh on the Narmada River at Narmadanagar in the Khandwa district of Madhya Pradesh in India. The reservoir of 12,200,000,000 m3 was created. 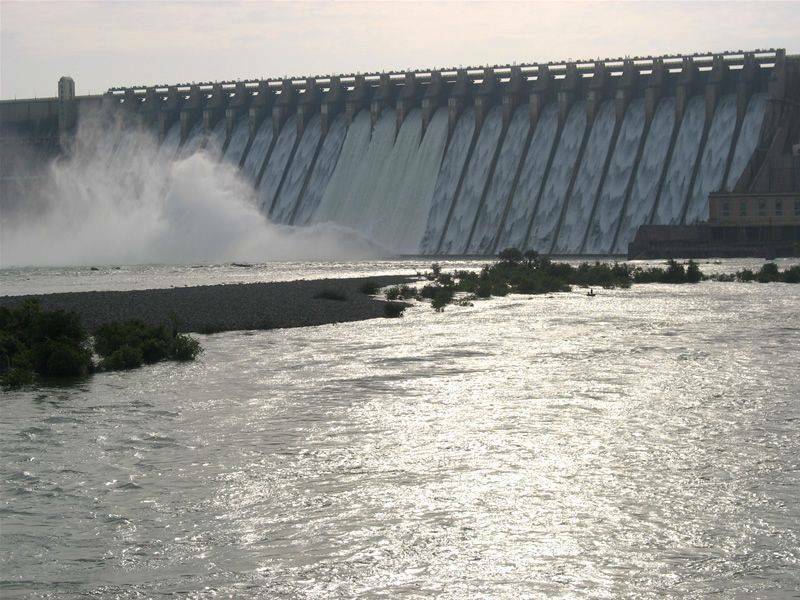 It withholds the largest reservoir in India, in terms of storage of water. 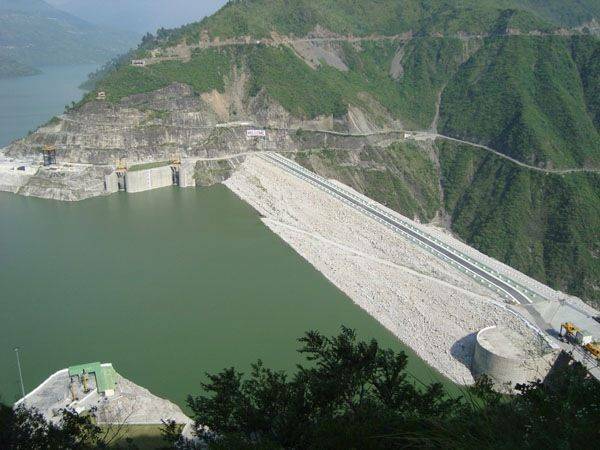 Indira Sagar Project is a multipurpose Project with an installed capacity of 1,000 MW. 9.) 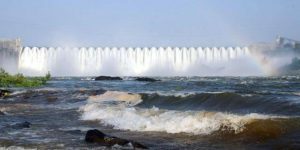 Nagarjuna Sagar Dam – is a masonry dam on the Krishna River at Nagarjuna Sagar in the border of Guntur and Nalgonda districts of Andhra Pradesh State, India. The construction duration of the dam was between the years of 1955 and 1967. 10.) The Idukki Dam – located in Kerala, India, is a 168.91 m (554 ft) tall arch dam. The dam stands with a beautiful view between the two mountains – Kuravanmala and Kurathimala. It was constructed and is owned by the Kerala State Electricity Board. 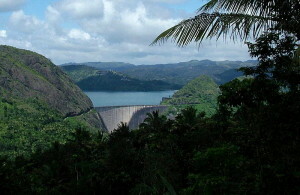 It supports a 780 MW hydroelectric power station in Moolamattom. Normally I don’t read write-up in blogs, however i would like to express that this particular write-up incredibly required me to see and do so! Ones creating taste has been shocked me personally. Thanks a lot, good document. Good Information.. But i wonder why we are far behind other countries with dams producing electricity with more than 5k – 6k mw. Despite so much scarcity of energy and constant power cuts. I think its high time now and its better we now start understand the actual caliber of the hydro electric power plant than those of any other( majorly thermal) and take onus to build and satisfy India’s high energy requirements. Excellent informaton n images r too good……….. thanks. It really help me. ……..
Iam havin geo exam tomm. thanx 4 the info…..
after going through tha 10 biggest hydel power plants in the world i am shocked that india appears no where .Instead of thermal and gas based power plants Modi govt should try for more hydal plants which will be beneficial both for environment and irrigation . We know that india is a country of river and valleys half part is arounded by ocean so we have lots of apportunity to generate the hydal plant which is more benefit for public requirement. So central goverment should allow to make evergreen enviroment. Well, I commented that information was incomplete as Sharavati valley project produces 1400 MW (approx) which was taken down saying I am confusing multiple projects. Even then, they agreed that Sharavati power plant produces 1035 MW, which makes it no. 7. In reality, This power plant is series of plants (tail races and runoffs) just like Narmada Valley project with total capacity of 1400 (approx) MW. More details can be found at KPTCL website (operator). Can’t post link here. I am thankful to you.for this important information. Thank you.It was really useful. It’s a great information regarding hydel projects. Once the proposed dams in Lower Subansiri in Assam and other dams in Arunachal Pradesh are built all these ten top dams will go into oblivion. Hi you people are are ignorent about our country’s installed capacity of hydroelectric power stations. There are 2 nos of major power stations in the state of Karnataka namely Sharavati valley and Kali river projects each of having installed 1000Mw and more. Please contact KEB and get vital information. thanx a lot giving details about hydro power.